The Buffalo Bill Center of the West announces a not-to-be-missed special exhibition opening in June. Whoop It Up! Celebrating 100 Years of the Cody Stampede tells the story of the Cody Stampede, a highly successful, multi-day rodeo event held every year since 1919, except during the years of World War II. The exhibition features vintage photographs, artwork, artifacts, and film footage—along with some surprises. It interprets the Stampede in the context of its precursor, Buffalo Bill’s Wild West, with its heroic portrayal of the American cowboy taming wild broncs. Whoop It Up! 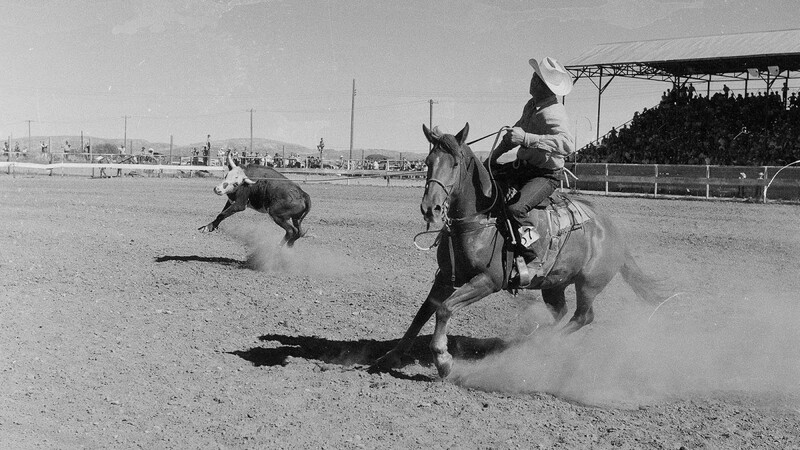 connects as well to the diverse cast of lady riders, cowgirls, trick riders and ropers, and bold equestrianism that made the Wild West a template for western rodeos throughout America. 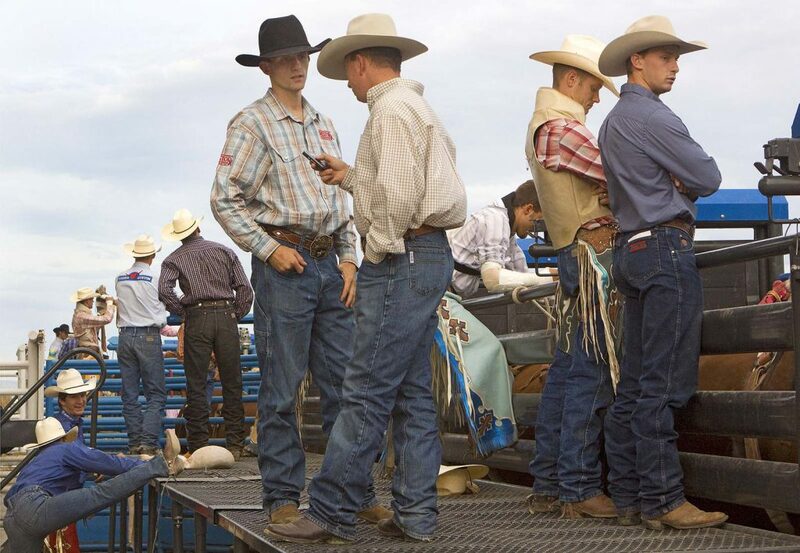 The Cody Stampede grew out of local celebrations on the 4th of July. In the early days, it featured an exciting program of wild horse races, Texas longhorn steer wrestling, Crow Indian dancers—and always a bucking horse contest. Recognizing that they had a winner, local leaders capitalized on Cody as a gateway community and hub for tourists on the many routes to Yellowstone National Park. 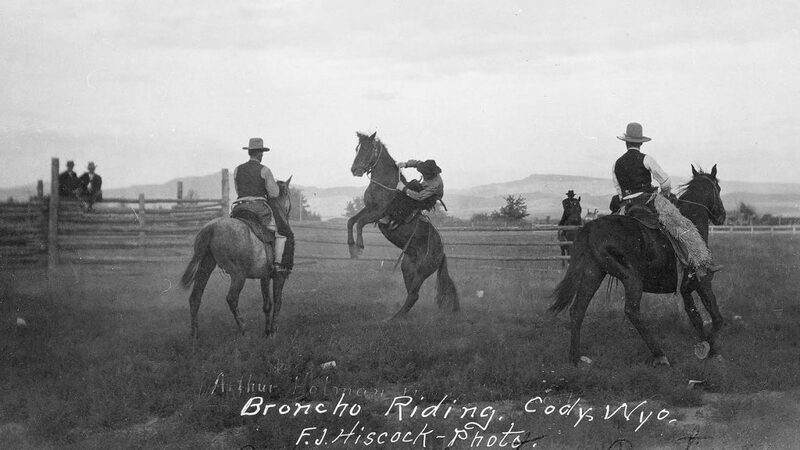 They linked the rodeo to the western experience, as advertised by dude ranches, and promoted it in a constellation of attractions that included the Buffalo Bill Museum, big game hunting, scenic landscapes, and just tons of western fun! Today, the Stampede has evolved into a top-tier rodeo, drawing professional contestants from across the country. It boasts the highest purse of any rodeo on the 4th of July. To tell the full, colorful story, the Center is partnering with the Cody Stampede Board and the local community. The exhibition features rodeo legends Nick Knight, Mel Stonehouse, and “Cody Bill” Smith, among the many star performers who have passed through Cody on their way up the ladder of fame. The exhibition also displays memorabilia related to the Stampede Parade, which takes place each year on July 3 and 4, and highlights celebrities such as John Wayne and Gary Cooper, who both once served as grand marshals for the parade. Whoop It Up! opens Friday, June 7, 2019, in the Buffalo Bill Center of the West’s Anne and Charles Duncan Special Exhibition Gallery and remains on display through March 31, 2020. Learn more about upcoming exhibitions at the Center at centerofthewest.org/explore/exhibitions/exhibitions. Contact: Mary Robinson at [email protected] or 307-578-4063.